This refined blush pink look gets a sleek update with charcoal grey accents. Play with the peach and brown tones of this look by incorporating in your makeup; finish off the look with quirky accessories. 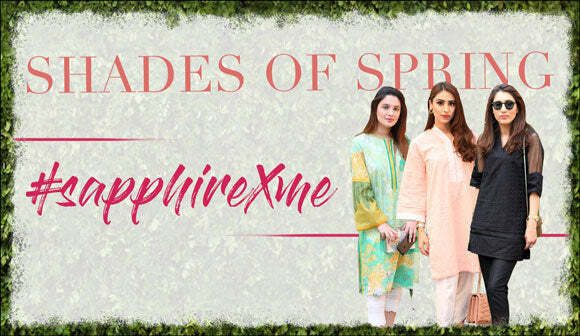 Designed for the versatile woman of today- Sapphire’s Statement line is a thoughtful curation of rich colors, meticulous embroideries, distinct motifs and fine prints. Perfect for the woman who appreciates high quality pieces at attractive prices.